Below you can view all the homes for sale in the Eagle Landing subdivision located in Hanahan South Carolina. Listings in Eagle Landing are updated daily from data we receive from the Charleston multiple listing service. To learn more about any of these homes or to receive custom notifications when a new property is listed for sale in Eagle Landing, give us a call at 843-968-0890. The private family room is huge and is situated on the back of the home, featuring MLS#19011716. Carolina One Real Estate. Large screened in porch overlooks the back yard. Seller has planted a garden. 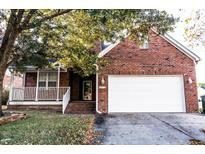 MLS#18032002. Exit Realty Lowcountry Group. Convenient location for dining, shopping, I26, and Boeing. Must see! ! MLS#18028256. Ashley Cooper Real Estate, Llc.